Healy Eats Real focuses on spreading the wisdom of traditional food from a modern day perspective. You will find a wealth of original real food and paleo recipes, healthy living tips and informative articles on nutrition and non-toxic living on Healy Eats Real. I believe that by avoiding processed foods and integrating whole, natural foods we can all nourish ourselves and live vibrant healthy lives! Healy Eats Real is here to provide information to those who want to seek natural solutions to their health puzzle and get to the root of the issue. 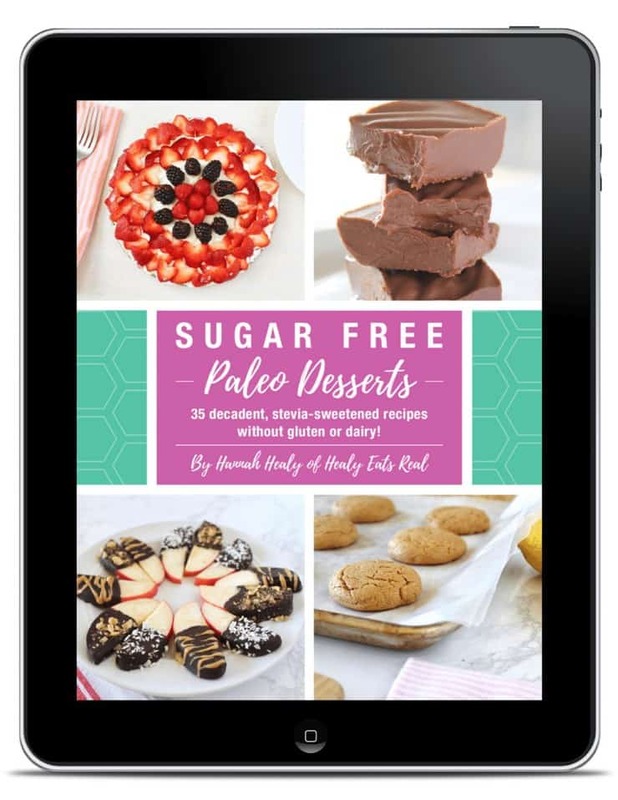 It’s also here to support those who are on healing diets with delicious recipes that are paleo, allergy-friendly, GAPS-legal, AIP and more! Looking for some tasty healthy recipes or articles on health? My name is Hannah Healy and I’m the creator of Healy Eats Real. I am blessed to live in the beautiful San Francisco Bay Area of California where responsibly raised, local, fresh and organic food is abundant! I have been interested in natural living from a young age. That interest has taken me to many places in my life. In high school I decided to become vegetarian and stuck with it for 11 years. I’ve always loved animals, so I felt good about avoiding meat. At that age, I went back and forth between eating well and eating junk and I couldn’t seem to shake blood sugar roller coasters and constant cravings. So I tried for years to stick to a healthier vegetarian diet to help it. After years of guess work and trying to refine my vegetarian diet to be the healthiest and cleanest diet, I finally came to terms with the fact that avoiding meat for so long had really taken a toll on my health and I didn’t realize it until I had some health issues that I couldn’t ignore. Some people can do well on a vegetarian diet, but for me it wasn’t working. My blood sugar was constantly up and down because my body doesn’t respond well with low-protein and high carbs. Because of that I had constant sugar cravings that wouldn’t go away no matter how many times I detoxed. I was hungry all the time despite eating full balanced meals. I was deficient in vitamins and minerals despite taking multivitamins. The worst part was that my anxiety was off the charts, which I’ve since learned can be related to an amino acid deficiency since amino acids are needed to form seratonin and endorphins in the brain and quality meat is one of the few bioavailable source of amino acids. I also have hypothyroidism and adrenal fatigue which elevated the anxiety and made me feel tired all the time. I generally felt terrible despite trying so hard to have the healthiest diet and lifestyle. I decided to incorporate humanely raised, grassfed meats into my diet and started feeling better. But, it wasn’t until I incorporated a paleo diet into my life that I really noticed amazing changes. My sugar cravings went away, my blood sugar evened out and I finally felt full after eating meals! I had dealt with constant hunger for so many years…I wish I would have started paleo earlier! I also started focusing on natural ways to balance my hormones, support my thyroid and my adrenals and am making strides every day. I’m so happy to be in a good place on the path to vibrant health! After being obsessed with nutrition and holistic health for years, I finally decided to expand my knowledge and get certified as a holisitc health practitioner and nutritionist. I’m currently studying for those certifications and am loving delving deeper into these subjects. 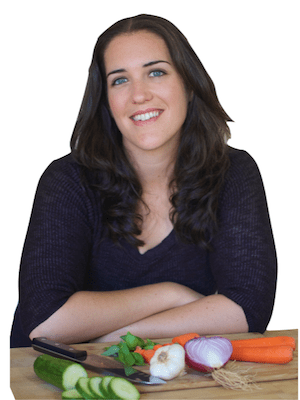 Now I am sharing my experience with figuring out my health puzzle on my blog Healy Eats Real. By sharing my journey along with healthy recipes and tips for living a healthy life, I hope to inspire others to take their health into their own hands too! Want to know more about my experience as a vegetarian and why I decided to switch? Click here to sign up for my newsletter to keep up to date on my latest posts!